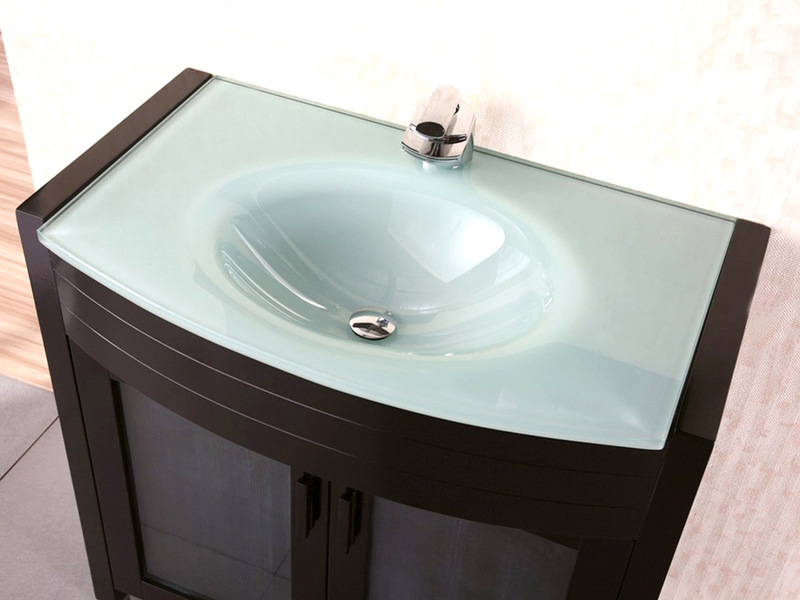 The 36" Waterfall Single Vanity puts together the elegance of solid oak with tempered glass to give you a sophisticated vanity that's fit for any kind of modern vanity makeover. It features a seamless oval drop-in sink and glass integrated sink top that complements the beauty of the Espresso finish of the cabinet. 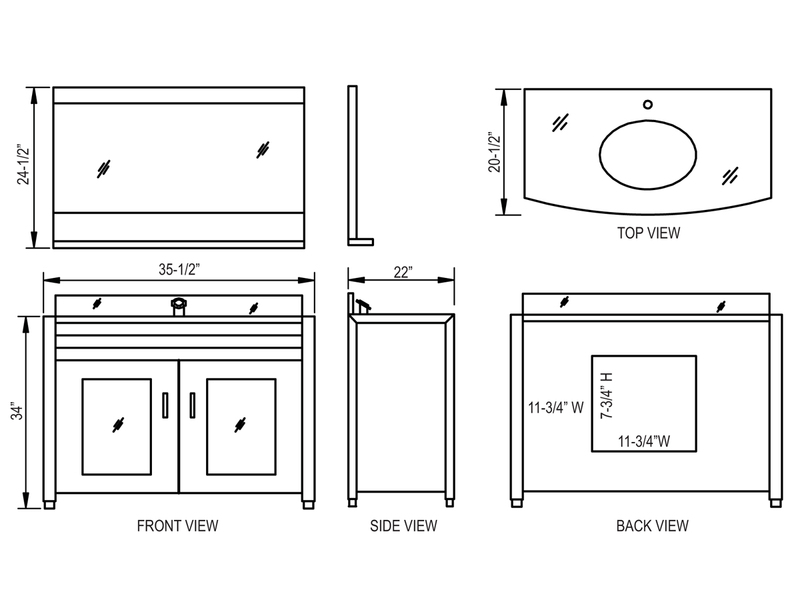 The cabinet offers a double-door cabinet that opens up to reveal plenty of storage space for all your bathroom essentials while the included matching mirror offers a frame that features a shelf for additional storage space!